What’s that expression about teachers learning from their students? Is there an expression like that? There really should be. 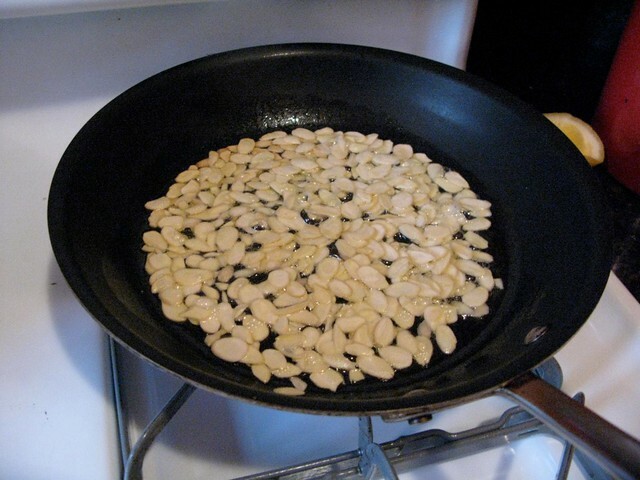 This recipe is so easy, I’m not even going to give you amounts. 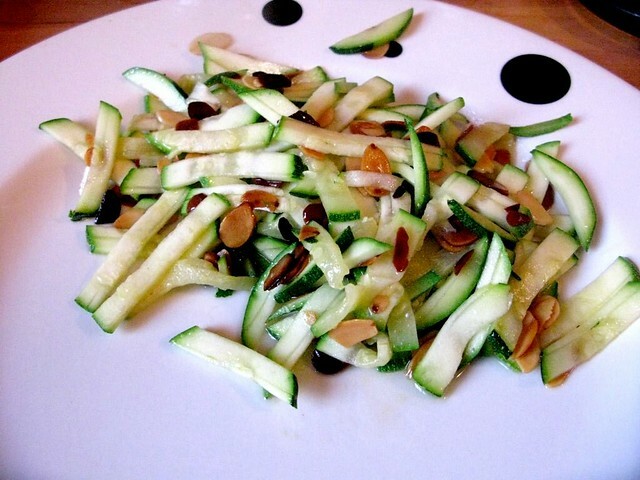 Just buy some zucchini (two large ones should feed two people very well) and a container of slivered almonds. 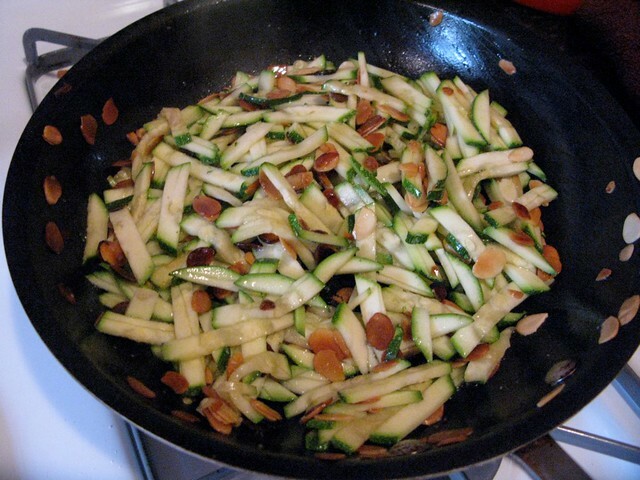 Toss around until the almonds start turning brown and fragrant, then add the zucchini. Toss around just until the zucchini’s warmed through, season with salt and pepper and serve. That’s all there is to it but don’t be fooled by its simplicity. There’s a lot of flavor here, mostly from the toasted almonds which give the whole affair a toasty nuttiness you won’t soon forget. So thanks Tyla for teaching the teacher (not that I’m your teacher, but you know what I mean). I’ll be making this on a regular basis from now on.